Many have noticed that public media becoming increasingly silent about the true meanings behind Christmas and Easter. 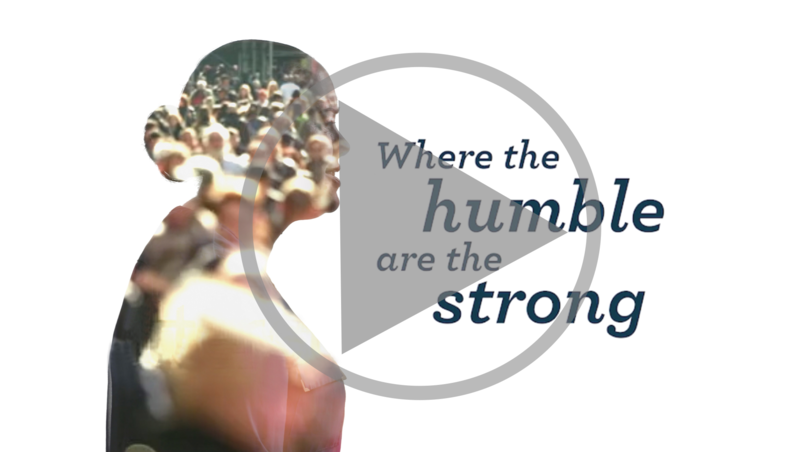 Awareness is increasing that our nation’s churches may need to somehow work together to create this visible presence for the Christian faith themselves. 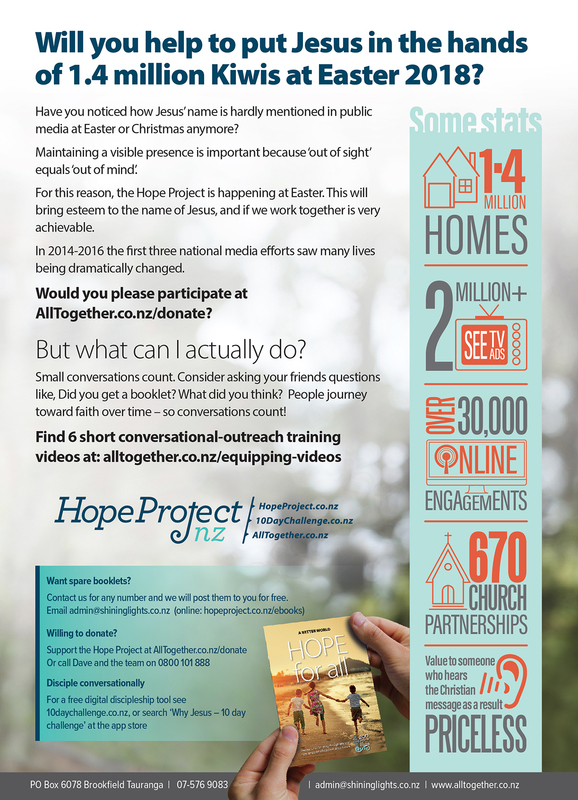 In response we are proposing that the Hope Project happen annually as a simple, known and already-tested solution that could return this presence to the Easter period. 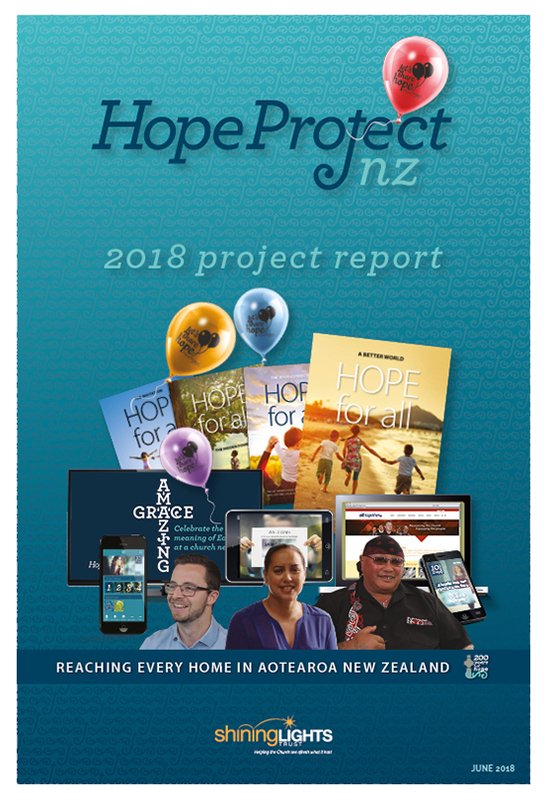 A WIDER THEME: Where the 2014-2016 projects told of the invited arrival and spread of the Christian faith within New Zealand, the next few projects will tell stories that reveal how the Christian faith gave us many of our most treasured values as a nation. A GOSPEL FOCUS: Each effort will continue to also communicate an aspect of Christian belief or thinking that is relevant to the stories, as well as the core Christian message of God’s love shown through Christ. RECEPTIVITY: New Zealanders have warmed to these projects (The third effort in 2016 received less than 20 complaints nationally – most related to booklets that incorrectly ended up in ‘no circulars’ letter boxes). People are loving learning about our nation’s history, while hearing uplifting stories of hope and faith. 2 primary equipping resources. (1) Equipping videos on conversational skills here, and 2 new sermon series (message outlines + small group discussion guides) on ‘teamwork’ and ‘conversation’ found here. Together we can achieve this! …or 1000 giving $12 per week ($600 per year). 2018 Promo Videos – 1 minute or 30 second (or 1 minute about booklet). 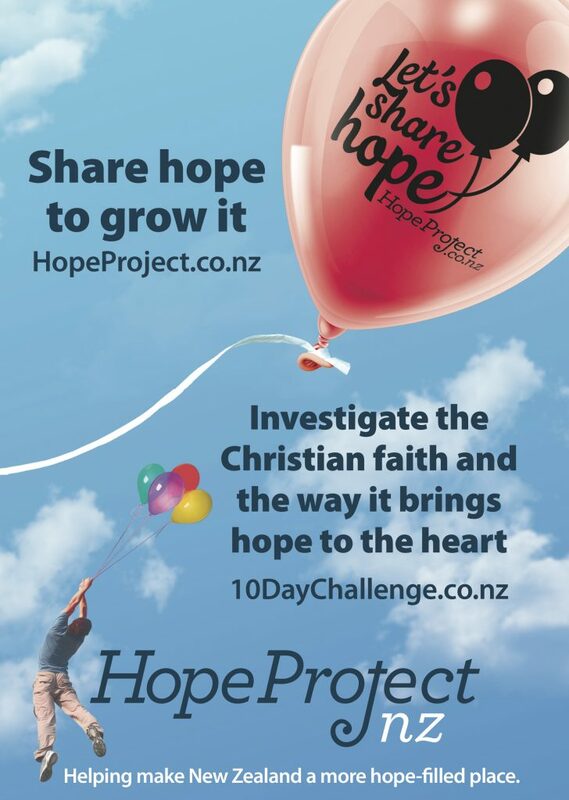 Discipleship website and app: 10DayChallenge.co.nz / Search ‘Why Jesus?’ at the app store. 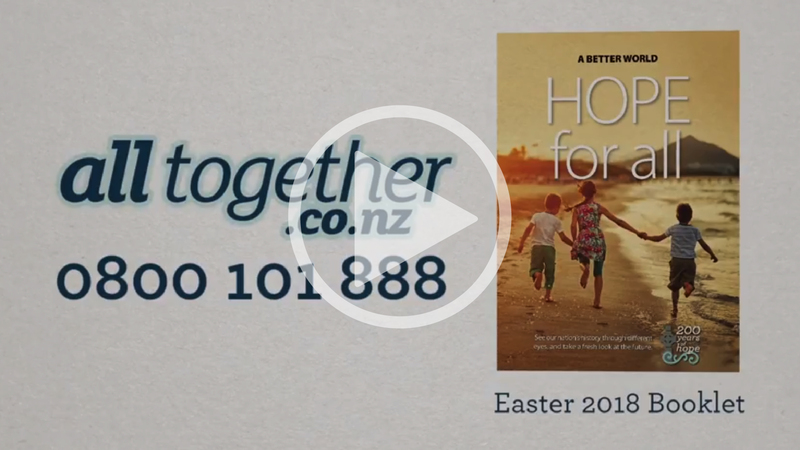 Will you help the Christian message be heard throughout New Zealand each Easter?